Galileo’s telescopic discoveries, and especially his observation of sunspots, caused great debate in an age when the heavens were thought to be perfect and unchanging. 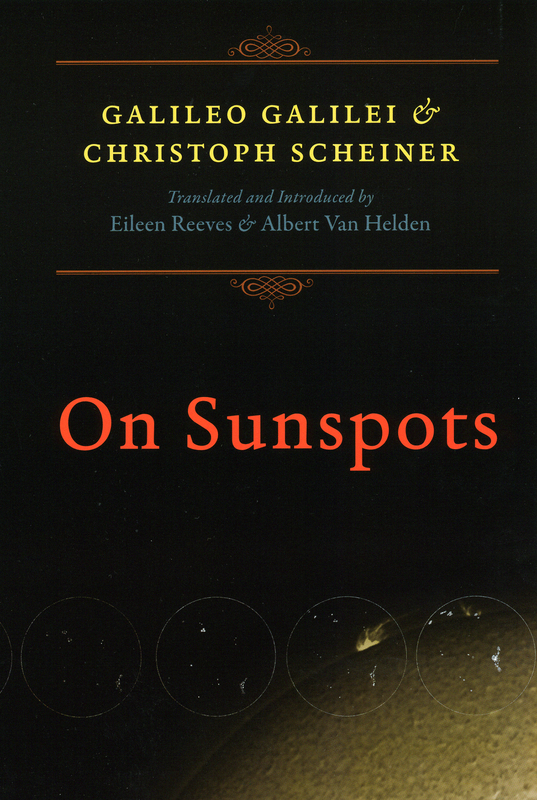 Christoph Scheiner, a Jesuit mathematician, argued that sunspots were planets or moons crossing in front of the Sun. Galileo, on the other hand, countered that the spots were on or near the surface of the Sun itself, and he supported his position with a series of meticulous observations and mathematical demonstrations that eventually convinced even his rival. On Sunspots collects the correspondence that constituted the public debate, including the first English translation of Scheiner’s two tracts as well as Galileo’s three letters, which have previously appeared only in abridged form. In addition, Albert Van Helden and Eileen Reeves have supplemented the correspondence with lengthy introductions, extensive notes, and a bibliography. The result will become the standard work on the subject, essential for students and historians of astronomy, the telescope, and early modern Catholicism.